Shorkie - Is The Shih Tzu Yorkshire Terrier Mix The Perfect Lapdog? You are here: Home / Breeds / Mix / Shorkie – Is The Shih Tzu Yorkshire Terrier Mix The Perfect Lapdog? Shorkie – Is The Shih Tzu Yorkshire Terrier Mix The Perfect Lapdog? The Shorkie is a mix between the Yorkshire Terrier and Shih Tzu purebred breeds. This pocket sized pet is loyal, active, and determined! Because the Shorkie is a mixed breed, its appearance will vary from dog to dog. The Shorkie is a rising star among the mixed breeds. Here are the answers to our readers’ most popular and frequently asked questions about this power pup. Now you’ve heard the basics, let’s dive into the details! The Shorkie is a mixed breed, that comes from combining a Yorkshire Terrier with a Shih Tzu. Although these breeds are similar in size, they differ quite a lot in personality. Not to mention appearance, and health. So what can you expect when you mix things up? To understand, let’s start by going back in time! To better understand this Shorkie Terrier mix, it would make sense to better understand the breeds it originated from. The second most popular breed in the world, the “Yorkie” was one of the first 25 breeds registered with an official body. They descended from Great Britain (hence the name), where they were originally used to chase away rodents in people’s homes. As a result, they have a personality to where they love to work for their owner and prove their mettle. Rumored to be over 2,000 years old, the Shih Tzu is one of the most ancient breeds of dogs on record. They’re believed to originate from somewhere in Tibet or ancient China and became very popular in the courts of Chinese nobility. The common perception is that Shih Tzu’s were “Chinese guard dogs,” which is true to a certain extent. While they’re very keen and aware of their surroundings, they’re also much more likely to walk right up to a stranger, introduce themselves, and make a new friend. It’s only in recent years that these two breeds have been combined with the aim of creating a lively lapdog. Both the Yorkie and the Shih Tzu have some famous celebrity owners. From Katherine Heigl to Paris Hilton, these little lap dogs are star favorites. We’re willing to bet their Shorkie offspring are going to be the next big thing in the celebrity world! 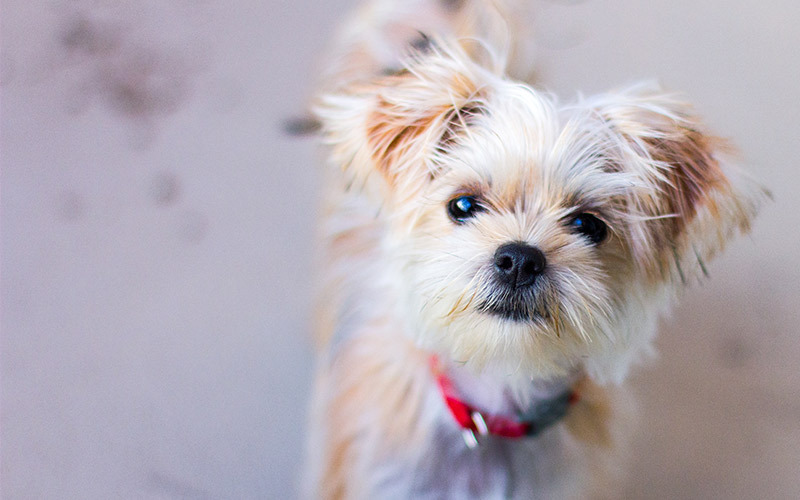 As a mixed breed, the Shih Tzu Yorkie mix can be a variety of colors. And you won’t be able to predict the colors of a litter before they are born. Whereas Yorkie colors are limited to black, tan, blue and gold, Shih Tzu colors come in an amazing array. Your Shih Tzu and Yorkie mix could have their mother or father’s coat color, or something in between. Shorkies are famous for their fur, which is actually made up of two different coats. Their undercoat feels more like fleece, while the top coat has that flowy, silky fur that we usually associate with this breed. But, as you’d expect with that type of fur, Shorkies need to be brushed regularly. Weekly, if not daily. This will ensure their fur doesn’t start matting and probably need to be groomed a bit more often than the typical dog. Given the two breeds of dogs they originated from, it makes sense that these are rather small dogs, even when fully grown. As puppies, Shih Tzu Yorkie weight can be as little as two pounds by the time they’re ready to be brought home from the breeder (at about eight-to-ten weeks old). However, we recommend you avoid teacup Shorkies due to the health problems that come from both teacup Yorkies and teacup Shih Tzu. By the time they’re fully grown, a Shorkie dog can range anywhere from seven pounds to a little over 15 or 16lbs. Most will be likely to fall somewhere within this bracket, but you could end up with one that’s bigger or smaller depending upon their family tree. From the moment you bring your tiny puppy home, they will quickly become a part of the family. Both the breeds that make up the Shorkie are well-known for being extremely attached to their owners and family members, and eager to please them. They are the type of dog that enjoys being part of its family so much so that they’ll be visibly disappointed if you happen to go anywhere without them. They are happiest when they’re right by their owner’s side. Whether it’s sitting in their owner’s lap during the day, or sleeping by their feet at night. However, the Shih Tzu is prone to guarding behavior and can be a little intolerant of being pestered. Which is something you will need to take into account if you have kids or frequent visitors. But, with the right training and rewarding motivation, they can learn and follow commands very quickly. Training your little friend can be a very rewarding experience. Both Shih Tzus and Yorkies are extremely intelligent. Despite their small size these are often independent dogs. So, you have to be willing and able to engage your puppy in a way that keeps them focused and motivated; otherwise, they’re going to focus on whatever they want to do. Fortunately, using positive reinforcement training methods means this independence doesn’t have to be an issue for you. Using only motivating techniques encourages a puppy to think of training as a great experience. And turns what could have been a chore into a wonderful bonding experience for you both. If your Shih Tzu Yorkie mix takes after their Shih Tzu parent you will need to be careful when you exercise them. They can become short of breath more easily than the average dog, and don’t cope well in hot weather. 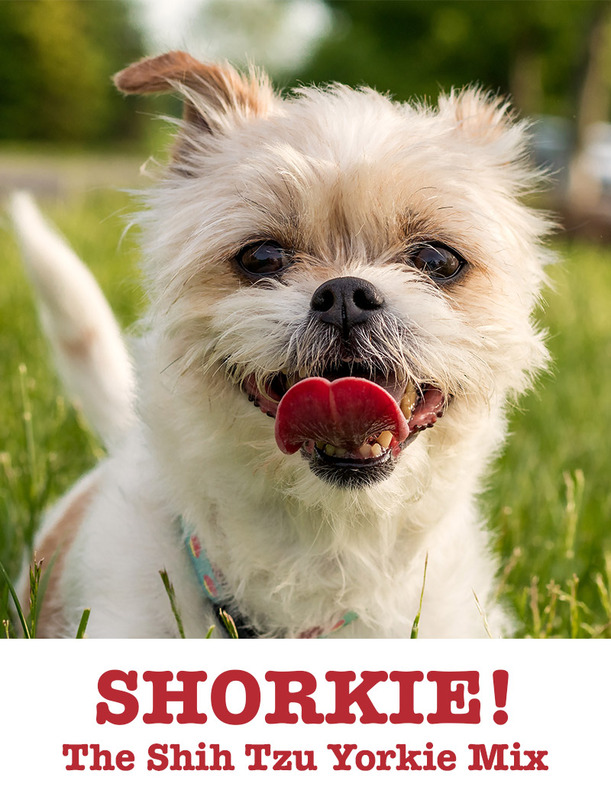 As the Shorkie is a relatively new mix, there have not been any studies carried out looking specifically at their health. So to get a good picture, we need to look at their parent breeds. Shih Tzus are a brachycephalic breed. This means that they have a shortened muzzle, potentially causing them problems with breathing and temperature regulation. Shih Tzu Yorkie cross dogs can have tiny noses. This can result in anything from harmless reverse sneezing, to various levels of obstructions that cause the dog to have a serious cough. Depending on the severity of the breathing troubles or tracheal obstructions, this could result in your Shorkie needing medications to help them with excessively labored breathing or coughing. Because of the compact nature of smaller dogs, many of them can have problems with their windpipes. Which isn’t a good thing when you consider they may already have breathing problems due to their face shape. Along similar lines, the tiny Shorkie has tiny bones and joints. A lot of toy breeds face issues with luxating patellas, where the kneecap moves out its normal location. This is often the result of the dog taking a sudden impact to its legs. If it jumps from somewhere high up and onto the ground, causing a sudden, hard impact to its hind legs. Most of the time, the dog will limp or avoid walking on that leg for a few moments, and shake the patella back in place while doing so. But issues around this, or too many instances of this happening, could force the need for surgery to fix the issue. To give your puppy the best odds of good health, choose a healthy set of parents. This means they must both have health tests, no family history of the diseases they are prone to, and certificates to prove all of this. The problem with a Shih Tzu mix is that their facial shape is a central part of their breed. To improve your odds make sure this parent has the longest muzzle possible, and wide clear nostrils which have never required surgery. You can surgically widen a dog’s nostrils to aid their breathing, but it’s better to not require this option. Pick a puppy with a long nose and wide nostrils, but be aware that their nose will close slightly as they grow. Sadly, the only way to completely rule out the potential for brachycephaly is to look at another breed or mix. And mixed breed dogs in general tend to live a little longer than their purebred counterparts. However, if they do inherit a brachycephalic face their life could be less comfortable than that of the average dog. Shorkies are a fairly low shedding breed in general. But they do have long hair, which can be quite high maintenance. Grooming a Shorkie will depend on which one of their parents their fur is most like. While there is some similarity between Shih Tzu grooming methods and grooming a Yorkie, they aren’t identical methods. It’s recommended that you get your Shorkie groomed at least every four-to-six weeks, depending on how fast their fur grows. This will also be affected by the climate you and your Shorkie live in. The warmer the climate, the more often you should probably get your Yorkshire Terrier Shih Tzu mix groomed. Many owners love to have groomers give their Shorkie a “puppy cut” or a “teddy bear cut,”. This not only trims the fur on their body but also accentuates the Shorkie’s super-cute face. Making them look like a tiny version of Chewbacca (the popular characters from the Star Wars franchise). From a practical standpoint, one of the benefits of getting this type of cut is that it helps ensure that any food or debris that they stick their nose in, doesn’t stick to their face. You will need to be careful with your Shorkie’s diet. Not just because he’s very small, but because he might have inherited his Shih Tzu parent’s facial structure. Check out our advice on feeding a Shih Tzu puppy to make sure that you provide his meals in the easiest to eat, most digestible form. The best food for Yorkie puppies is a little easier to select, and if your dog is more like their Yorkshire Terrier parent then it will be fine picking from this range. While Shorkies can make wonderful family pets, we don’t recommend adding a Shorkie puppy to homes with small children. Children often look at these cute dogs as “live toys” or stuffed animals, resulting in them feeling the urge to pick them up and carry them around. Because children don’t necessarily understand their own strength, or how to be gentle in certain instances, this can lead to internal injuries to your Shorkie if they’re held or squeezed in the wrong way. Also, because a Shorkie’s sometimes stubborn and independent nature, they can get a little feisty around children. Supervision and education are key, but their small stature means they aren’t ideally suited. They’re well suited however to adult families looking for the perfect companion who wants nothing more than to stay by someone’s side. A great way to welcome a new pet into your home is to rescue one from a shelter. This isn’t an avenue that’s open to every owner, nor is it the best choice for all homes, but it’s certainly something to consider. Rescuing an adult also means that you will have a better idea of whether the respiratory health problems of the Shih Tzu are going to be an issue for your Shih Tzu mix. When looking for a mix from a shelter you have lots of options. General dog shelters are a good point of contact, but so are breed specific shelters for each parent breed. After all, many of the dogs that come through their doors will be mixes. Here are some potential points of contact for a future Shorkie rescue puppy parent! If you know of any more that we’ve missed off our list, do let us know in the comments section below. Of course, a rescue dog is not the right choice for everyone. So is a Shorkie puppy on your wishlist? Shorkie puppies should be confident and friendly. When you go to visit them for the first time at around six weeks old they should be alert and playful. Keen to say hello to you, with happy wagging tails. The breeder should have had their puppies wormed and flea treated regularly, and have had them checked by a veterinarian and microchipped. Good breeders do not let new owners take their puppy home before 8 weeks of age. A relatively new cross-breed, many breeders are looking to continue breeding Shorkies. This is because of the demeanor, intelligence, and visual appeal of these dogs. But for some it’s also about money. It’s very important to find a breeder who is invested in improving the breed and producing wonderful Shorkie puppies as great family pets and companions. A good breeder will ensure that both parents are fully health tested, and only breed from dogs with excellent temperaments. Before they let you take home on their Shih Tzu Yorkie puppies they will ask you lots of questions, and expect the same in return. If you have any concerns about a breeder, then walk away. If you are happy that this is a good breeder, then you will need to know whether you are also happy with the price. How Much Does a Shorkie Cost? That Shorkie Price Tag! Shorkies are a designer dog breed, and therefore can come with a hefty price tag. This will vary depending upon where you are based, and you shouldn’t just pick the cheapest puppy. Finding the right breeder might be more expensive, but can save you a lot in terms of vets’ bills and heartache further down the line. You can expect to pay anything ranging from $600 to $1,500 dollars. Caring for a vulnerable Shorkie puppy is a big responsibility. There are some great guides to help you with all aspects of puppy care and training. When you bring home your Shorkie puppy you will need to have a good selection of items ready and waiting. 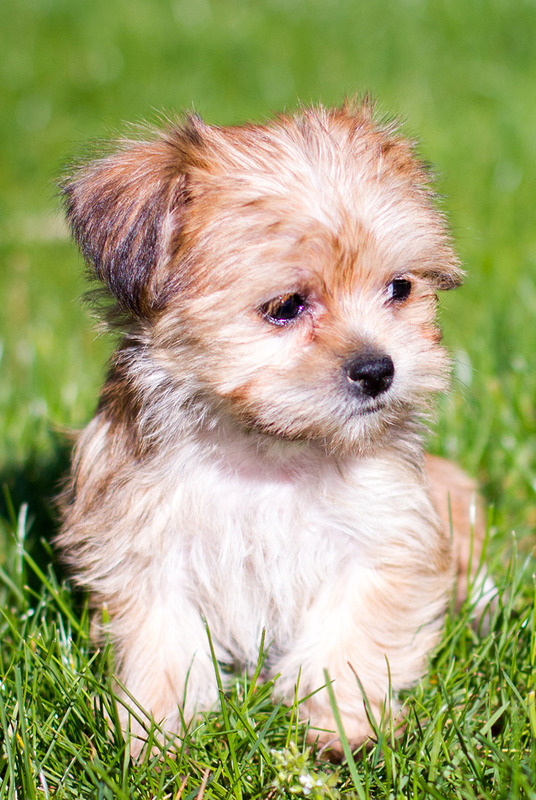 Here are some of our top picks for Yorkshire Terrier Shih Tzu mixes. Still trying to decide if this is the right breed for you? Let’s compare the pros and cons! A great way to make your final decision is to weigh up the upsides and downsides! The bad points here are mostly health related. Not just in terms of potential health conditions, but in terms of structure. You might get lucky, but a Shih Tzu mix could end up with a flat face and the brachycephalic issues that go with it. They are also not ideal for families with young children, and don’t respond well to traditional training methods. That said, they sure are pretty little dogs! If you have one in good health they will exercise alongside you happily during the day, and curl up by your side all evening. Yorkshire Terrier mixes are very popular little dogs, and depending upon the other parent breed they can be more healthy than the Yorkie Shih Tzu mix. Gough et al. 2018 Breed Predispositions to Disease In Dogs and Cats. Wiley Blackwell. O’Neill et al. 2013. Longevity and Mortality of Dogs Owned In England. The Veterinary Journal. Schalamon et al. 2006. Analysis of Dog Bites In Children Who Are Younger Than 17 Years. Pediatrics. Packer et al. 2015. Impact of Facial Conformation On Canine Health. PlosOne. Meola, 2013. Brachycephalic Airway Syndrome. Topics in Companion Animal Medicine. Kimmel et al. 2000. Hypomagnesemia and hypocalcemia associated with protein-losing enteropathy in Yorkshire terriers: five cases (1992-1998). Journal of the American Veterinary Medical Association. Whitehead, 2015. Seizures Associated With Hypocalcemia in a Yorkshire Terrier With Protein-Losing Enteropathy. Journal of the American Animal Hospital Association. Harasen 2006 .Patellar Luxation. The Canadian Veterinary Journal. Ginn, 2008. Nasopharyngeal Turbinates in Brachycephalic Dogs and Cats. Journal of the American Animal Hospital Association. Huck et al. 2008. Technique and Outcome of Nares Amputation (Trader’s Technique) in Immature Shih Tzus. Journal of the American Animal Hospital Association. Strom, 2011. Epidemiology of canine glaucoma presented to University of Zurich from 1995 to 2009. Part 2: secondary glaucoma (217 cases). Veterinary Ophthalmology. Downs et al, 2013. Genetic screening for PRA‐associated mutations in multiple dog breeds shows that PRA is heterogeneous within and between breeds. Veterinary Ophthalmology. Tobias et al. 2003. Determination of Inheritance of Single Congenital Portosystemic Shunts in Yorkshire Terriers. Journal of the American Animal Hospital Association. Looking for A Baby Girl Fas My Finley Bears Wife. He is About to Be 1yr old in Nov. I Live Near Daytona Bch Fl and Orlando fl. My Harley was my life line. A Shorkie is the most loving, intuitive, sweet dog you could ever have. They are easily trained, and wonderful. Keep them brushed and groomed and love them. All they need is love. You can not do any better. God bless. I have always been the “Mom” to large to giant breed dogs who were wonderful and loving companions. Four years ago, I rescued a puppy from the middle of a busy intersection and took her to vet. for evaluation and to post “found” puppy. Discovered I had rescued little female “Shorkie”, apprx. 1 year old. “Chance” has been my constant companion, my shadow, for 4 years now and I cannot imagine life without this incredibly loving, super intelligent, little girl. She is so quick to learn, understands or “intuits” what is being said, adapts to any and all situations, is easily trained (or perhaps she’s trained me), never had an accident in home, alerts to anyone outside home, knows the names of all her toys and will bring them to me to play “fetch” when I ask for particular toy; is well-behaved when we have house guests, anticipates my every move, and, in fact, as I write this, Chance is sitting beside me in my office desk chair napping while I work. She travels with me and stays in hotels for week at a time and is so well-behaved she is always invited to visit again! At one hotel, one of Chance’s favorite babies accidentally disappeared. Housekeeping staff helped me search for Chance’s baby but it was gone! Later that night, received call from housekeeping stating that “Tig-Tig”, the missing baby, had been found in linens being laundered and once “Tig-Tig” was clean and dry, it would be returned to Chance. Sure enough, little later, knock on door, and three of housekeeping staff were there to return Chance’s baby to her! What a happy little girl! Chance makes friends, in a sweet, non-aggressive way and everybody loves having her around! What an incredibly lucky and blessed “Mom” I am to have such a sweet and loving little girl in my life! I cherish every day with her! Shorkies RULE ! ! ! ! Looking for a breeder. I have been unable to find one any where near me. Love all the stories, but need breeder information. I am curious where you are located? We are looking for a shorkie and live in Southwest Florida. Do you know any breeders in this area? I am looking for a breeder. I have a female Shorkie that just 6yrs old today, i would love to have another. Do you know a breeder? I would love to have a breeders name & number!! We had a Shorkie for 16 yrs. She passed away 7 wks ago ? She was our shadow…she is greatly missed. We’d love to get a new lil furbaby ?? I am curious a to where you are located? Please post if you know of any reputable Shorkie breeders in Pennsylvania. Thank you. We adopted a Shorkie from a rescue organization. They rescued her from a breeder who kept her crated most of the time and only cared to breed her. She is about 1.5 years old and we have had her for 6 weeks. From day one, we have been very. Igolent and consistent with potty training. She goes out very often, swipes a bell on the way out, we keep her on a leash until she goes and then we praise her and give her a treat. Once she’s finished, she either gets let off the leash to play in the fenced yard or we go for a walk. Sometimes we can be walking in the backyard for 40 minutes with her and she will not go. Once we get back inside, she will do her business. She pees while she is walking all over the house and doesn’t seem to know to stop to do her business. She does not have a preferred location- she just lets out number 1 and 2 wherever she is. We’d appreciate any insights and suggestions. Consistency is going to be key. They can be very stubborn. Make sure going out isn’t play time. Maybe try to find a different area for “play time” so they associate going out in the potty spot just for that. And lots of verbal encouragement. My shorkie (almost 7 years old now) is extremely responsive to our voices. To the post from “Peggy” on December 23, 2017–My dear—I truly hope you find her/have found her. When I came across “Peggy”s post, I felt a lump in my throat. We have a 7 year old make shorkie-he was our daughter’s dog. She moved and couldn’t have pets in her new place. So, we took him and he has been a WONDERFUL little man!!!! He is a “man’s” dog–does that make sense? ha ha. Although he is 7 years old, he will occasionally “mark” his territory on a piece of furniture. I do place potty pads all around the den (the den is his “doghouse”) furniture/floor. We just got a Welsh Pembroke Corgi–we’ve had her since March 3rd and she is a little “sassy” thing! But, to all my fellow Shorkie parents—good luck to you all—I know we all have a very special breed of dog. Our male Shorkie is eight years old. He has always been a shedder, a barker and never got completely house trained. Looking back I can see that we should have waited to get a puppy until we had the time to properly train him. I am moving in five months to a location that will absolutely require him to be house trained. We don’t want to have to give him away so I need to know how to get him to stop peeing and pooping around the house. I got an ‘accidental’ Shorkie. I adopted a Yorkie who turned out to be pregnant. It was a BIG Surprise. We kept one of the puppies. The father, after the rescue org admitted their poor practices revealed the father was a shih tzu. This was 13 years go. The Yorkie mom died years ago. The puppy is now 13. She has been a truly fantastic companion. The only issue that I have found health wise is skin tumors. She first showed a tumor that looked very similar to a pimple at 8 years old. It was examined by vet, aspiration of tumor, lab/pathology it was benign. Fast forward to 11 years old and now she has 7 growths of similar look. Vet still feels they are wait and see. Except the 8th one at 12 y/o. It has grown like a wart, waxy substance exudes from it. It was removed and biopsy came back benign. This may be more of an ‘age’ issue for our dog or it may be a breed issue. The vet said it is both, more age than not. So just a heads up for future owners, set aside a small amount of money from puppy hood to their senior years to be able to pay for the biopsy, surgery, pathology that may occur. The total cost so far with just the 2 biopsies/path lab work done was about 1.5K per incident, 3K total. Our personal choice will be if this skin tumors came back malignant is to not treat with extraordinary methods. Oh! Also, our girl snores more loudly than I do. It IS adorable even now. If you do have an opportunity to get a lovely Shorkie, you will have made a terrific choice. It is a hybrid, a ‘mutt’, but a “controlled” mutt. I have a 4.4 pound shorkie Tzu and her name is Chloe..I bought her from a breeder in sc. Chloe is perfect for me and saved my life. My husband of 50 years who just turned 70 was diagnosed with alzheimers at the age of 65. I was very depressed when my husband had to go live at an Alzheimer’s facility after a seizure. Chloe is perfect..loves to be right next to me and is truly a lap dog. She goes almost everywhere with me in her puppy pouch. She is a year old and I havent noticed her go into her heat cycle yet..she is totally trajned to potty pads and was easy to train. However she only eats to live and not food driven. It does not matter to me that she doesnt do tricks..she loves me uncondtionally and thats what I need. I would recommend this precious breed to anyone. Would love to know where you purchased this dog. Cant find any in my area. Would love to know where you got your dog too. We lost our two little Shih Tzus over the past year and are longing for two little ones to love again. Both our tiny Shih Tzus had health problems so we thought a cross might be better. My son has a Yorkie Poo and it is adorable. We don’t want to lose that sweet side of a Shih Tzu so think a Shorkie would be great. We’ve always had bigger dogs. I became disabled in 2014, and our two labs (ages 16 & 18) died within six months of each other around that time. We got our Shorkie from my cousin in Missouri when we were visiting. She has literally kept me from going into a very dark place. She’s so cute and loyal. We potty trained her in less than a weeks time. I love our little 8 1/2 pound Lexi more than I ever thought possible. She has truly been a blessing. S.O.S. ! I hope someone can help me as I am at my wits end concerning my 7 month old Shorkie ! She is still not potty trained! She is being trained to go on potty pads and will use them sometimes but more often than not, she will go on the floor, sometimes right next to the pad ! I make sure there is always a clean pad down, so I can’t attribute her behavior to not wanting to use a soiled pad. This results in my having to keep her confined most of the time, with frequent supervised “free play time”. She also continue’s to eat her poop ! I have no idea what I am doing wrong, or what to do to change this behavior. I had the exact same problem with my pup. I added a little pineapple juice to his food and it apparently gave the poop a bad taste or smell and he wanted nothing else to do with it. Good luck. We lost our little man Kaos a Stroodle last January he had been my shadow for 14years and 7months to the day. I am paralysed from the neck down so I have really thought about this. No other can replace our Kaos but what better way to get a new family member and h help give a home than rescue..
My partner looks after me and this is a joint decision. Is there anyway else anyone thinks we should consider? Are you going to Breeders to know more history..? Our little lady is 2 and was never collected from the pound.. I have always wanted a dog but i was extremely particular in appearence i took one look at the shorkie breed and knew those breed of pups were exactly what i needed I went on a puppy quest lol for years I finally found the perfect pup for me he was 8 weeks old when i brought him home & i took one look at him & knew his name would be TEDDY he is 4 months old now & i love him!!!! He is everything to me my baby boy he is my best everything!!! I have 2 not Shorkies for sale. We are in GA.
We are looking to buy a shorkie puppy, preferably male from a reputable breeder. I have 3 kids, 11-15 years old who would help provide the best home for him. We’d prefer to see the puppy first, but live in MA. Would love to know where you purchased this dog. Cant find any in my area, and would love to purchase one. Our sweet girl is 3 and the best guardbarker in the world! My daughter is moving out of state for a new job and I am happy she will have this little guard dog to allow her to call 911 and get her gun! She cost 500 here in Texas. Tinkerbell is our baby. I have a shorkie and she saved my life. I am a disabled Veteran and one day i took my son school shopping and he said lets go to the pets r inn and so i did and there she was looking at me and wagging her tail and that little face. I had just been diagnosed with depression and i got her and now i take medicine for depression, but with out her i would probably not be here today. i recommend a shorkie to anyone that has depression. I too suffer with depression. I live alone and I wondered if this dog would be a good chose for me. I need a small guy that wants to stay close.your story has encouraged me to get one. They seem adorbla. They are they bring so much joy in your life!!!! We lost both our 14 yr old and 9 yr old shih tzus within 48hrs of each other (cancers). Devastated the family to say the least. But we just got a 5 month old Shorkie and he is bright light, the sweetest puppy. Loves to be around people, everything for him is a wonderment. We have just lost our shorkie, Nina?. She was 15 years old and just the greatest joy in our lives! We are just so sad!! Everyone says to get another dog as it will help my home. Please tell me where to find a great breeder in Ohio/Michigan area. Stephanie have you found a reputable Breeder? My son has a Shorkie and I love her but can’t find a BREEDER in Michigan. My son got his when he lived in Georgia. If you could pass on info of where to find a reputable breeder I would be forever thankful. I am curious as to where in Michigan you are…I am in Indiana …are you anywhere close driving distance in Indiana? i have been reading these posts and all the shorkie love we have a 10 year old its the best dog weve ever had and we are in our 50″s. i am also looking for a breeder in MI just wondered what your location is in Indiana? I lost my beloved shi Tzu poodle mix on Jan 26. My tears seem to be endless and I’m depressed to the point of nonfunctional. He was only 9 and I feel it was much too soon. Friends tell me another dog is what I need so now I’m trying to consider it. A shorkie has been suggested and they do seem precious, but haven’t seen any that I can really afford. Can anyone make suggestions? My Yorkie of 11 years had to be put down recently. I then acquired a Shorkie from a rescue group. She is all I could want in a dog! Wonderful temperament, loves people, etc…. If you are fortunate enough to find one at a rescue they cost much less! For me, it was the perfect way to go. There is a breeder in Jackson, Tn. Dont know how far you are from there. Yes, only with one of them. I was told to spray the poop with bitter tasting, yeah right. I know most the world is against the word NO, but a firm NO (not yell)works for mine. He is starting to walk away with me saying anything. Mine is eating his poop too. I’ve also noticed him eating grass. I’m thinking it may be that he is not getting which nutrients from his food. He is currently on Bella for small dogs because he stopped eating his other food. Does anyone have a suggestion for food? Do you give him him multi vitamins that may help. It is probably the Shih Tzu line that has contributed to this problem as Shih Tzus are known for coprophagia. Your local pet store should have some products that you can add to your dog’s food to help keep your dog from eating their own stool. I’ve had my Izzy fifteen years in April. At fifteen she is really healthy, but try to get her not to jump would be a miracle. Not seen any negative results, always been a jumper. Has a really great temperment and has always responded well to training, Really wish this dog hybrid had caught on more. Raised around dogs my whole life including great Danes and Labs and Izzy is at their level. Honestly I attribute her great temperment to being the mix she is. She is has been a blessing to me. I just got my sweet little Emmett for Christmas. My sister gave him to me to have a companion and a fur baby to love. I lost my job this Christmas and he has really has brought me so much joy. I am so glad I came across this site. I literally just got home from puppy kindergarten and the trainer made me feel like Emmett was incompetent. Her comment was “well he is a terrier”. He wasn’t focused tonight. All he wanted to do was eat treats and play. I was wondering if anyone had issues with their Shorkie lunging at them like a flying squirrel when you sit in the couch and bite you. He is almost 4 months and teething. Is this normal. Also I have been successful with wee wee pad training but also want him to go outside, can they do both? The breeder trained him on the wee wee pads. Thank you all in advance! I just lost my precious Baxter and can so relate to what you said. He didn’t do so well in puppy class either, but I can tell you this, he brought joy to my life every day I had him and that seemed much more important to me than whether he ever learned to sit and stay. Just enjoy your puppy and love him always! I am so sorry for your loss Lois. I love my boy so much! I can’t imagine what you are going through! I can’t wait for the teething to stop! I am his favorite chew toy!! Hi Bunni. We have a 4 month old Shorkie, Gracie with the same lunging and biting issue. She’s driving my 16 year old Shih Tzu nuts. Those teeth!! Lol. She is cute as a button but I also can’t wait until this stage passes. We just keep up with the firm No and giving her toys. Good luck with Emmett! I am so glad to know I am not the only one with a lunging Shorkie! He is getting better. I tried toys but he prefers my arm. I read an article where the said to pretend cry or yip when they bite during teething. So I tried that and it’s been working. He is improving and not lunging as much. He will be 5 months in a few weeks. Looking forward to the puppy teeth falling out!! Lol. Even with the biting, he is my joy and the best snuggler! Hi, I know this is a bit late but I wanted to say my Shorkie had biting issues until she was around 1 year, then it slowly tapered off. She’s going to be three in November and doesn’t bite at all anymore. Still super playful though! Potty training was pretty difficult with her, but she has it down for the most part now. If she has an accident it’s my fault for waiting a little too long in between potty breaks. She’s really intelligent, so I think the potty training issues are due to a little stubbornness. I love her like a child though and wouldn’t trade her for anything. Hang in there! She was frustrating at times when she was a puppy, but she’s absolutely worth it! Bunni, Haha OMG we laughing ? so hard reading this, our 3 month old Shorkie, just did the “Lunging Like a Squirle” thing 10 minutes ago and snagged my husbands chin drawing blood, she didnt mean to she was just really excited ? These pups are definitely the apidamy of adorable and so sweet, then in a minutes notice she becomes the “Wild and Crazy” dog!!! We’ve never had a small breed and it took us over a year to find one, we love her and couldn’t imagine life without her now??? We have had our shorkie for 8 years. She has been the best companion for us. She thinks everyone that comes to our home is there to see her. She is an absolute treasure. We decided to get her a sister as she has always done so well with other animals. We got our second shorkie the week of Christmas. They are really starting to bond and play together. I can’t imagine a better breed for us. One issue we’ve had with our oldest is skin allergies. She has responded very well to medication she takes every day. It is very affordable. She had been very low maintenance. Keeping her coat trimmed is a must. Good luck with your shorkie. I just got a Shorkle for Christmas and need advice on best method to use in training her to go potty on pads. Would love to hear from other Shorkie owners who have been successful in training their fur baby to go potty this way. Also best place to get the pads. Thank you ! Hi , we have a 5 month old Shorkie puppy and we have had him for 8 weeks . We gave up with puppy pads as he just chewed them . We took him out on the hour every hour and rewarded him every time with a treat ,he was totally trained within 4 weeks and now sits by the door and barks to go out . It took us less than two weeks to train our 9 week Shorkie, on the pee pad. We used a pad spray. She seemed like a natural. I wish she would still go on it now…once she got outside alot, she quit going on the pad and started making regular trips outside. She’s everything we could ever want in a dog…a real blessing!! Your story tears me up. I feel for you and will say a prayer immediately or please tell us all you got her back. I wish I could help. Oh i’m so sorry. Please post your missing pet in your local/community Facebook for additional eyes and ears. I have a shorkie 4 months old and he’s so lovely ???? playful, but loves the ???? % attention ??? ?Potty training wasn’t that hard unless you reward him with treats ! They love to be rewarded and loved! I just lost my 17 year old Shorkie… my heart is aching. Does anyone know a breeder? Where are you looking for one? I am getting one tomorrow and it is in Oklahoma. I am so sorry to hear about your dog. We lost our beautiful boy Mick on New Year’s day. He was a Golden Retriever. His death was sudden and unexpected and we were devastated. In his honer, we adopted another dog 2 weeks later. A SHORKIE!!! She is a gift from God and has lifted our hearts and spirits. I hope you find a new friend very soon. It is an honor to share our love with our new little Ruby. When we look at the pictures of our Mick, now we smile instead of cry.